Happy Friday and a warm welcome to the weekend's arrival! Today I am going to talk about a goal that I want to accomplish... it's very serious and extremely important. My goal: I want NEED to throw an absolutely fabulous wine and cheese party. And yes, I know that my goal might not be as noble as let's say... recycling or saving the world or something like that, but at least I have goals. Don't judge, wine and cheese are very important to the earth, too. In fact, it's been statistically proven to be two of the most "earth-friendly" food groups! Here's a challenge to add my extremely important and serious goal... this needs to be done on a budget. 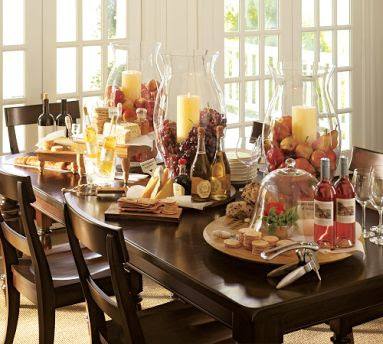 And no, I don't want to be serving wine from a box and Kraft singles...although, that would be quite awesome. Sometimes a Kraft single really hits the spot. Plus, Mr. Fo is a huge fan of all orange cheeses, so it would be a winner for him. 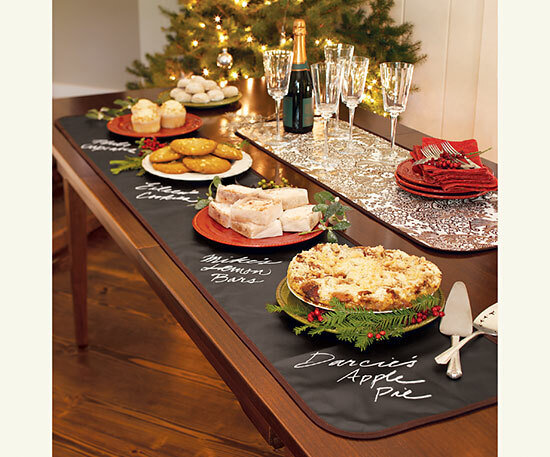 The first party comes from a an awesome site, The Party Dress.... I LOVE the name of their site too! Check out The Party Dress for details and more pictures! 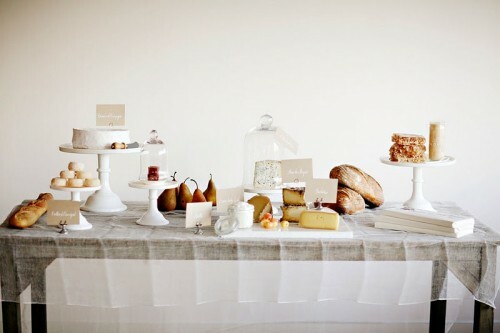 I love the clean, modern look of this wine and cheese table from Sunday Suppers, another gorgeous inspiration site (via mochatini). 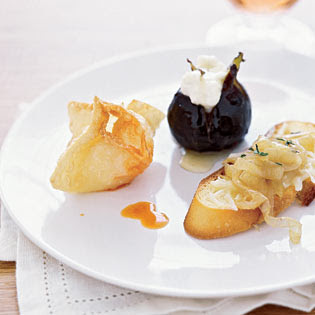 The slightly annoying but often creative Rachel Ray has an entire menu for a wine and cheese party that revolves around delicious appetizers ... Figs with ricotta and honey anyone? See her menu suggestions HERE. One of my favorite recipe sites, Delish.com has a great round up of savory cheese-y appetizers that go perfectly with wine... How delicious do these cheese tartlets look? 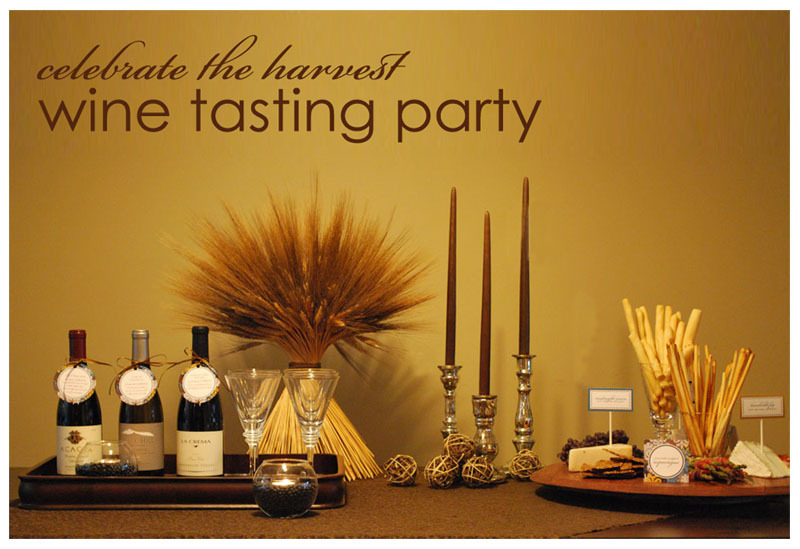 The other delicious option is to use chocolate as a component... a wine and chocolate party... or why not go for the whole gamut and have a wine, cheese AND chocolate party? 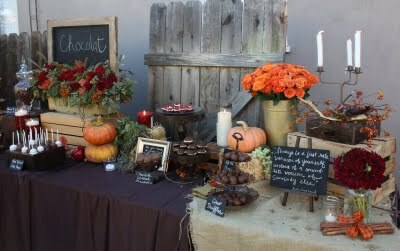 And speaking of wine and chocolate... here is a gorgeous party thrown by Heavenly Blooms, which I found via Celebrations at Home. 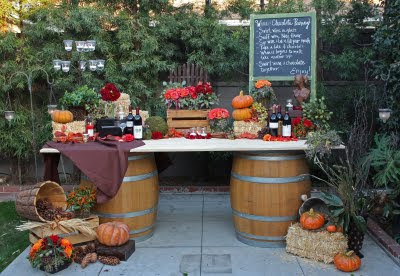 I love the rustic fall look, it's a perfect way to celebrate fall! They even make wine and cheese party kits, to make it as easy as possible for you to host a wine and cheese soiree! This adorable kit comes from Grapevinetrail.com! 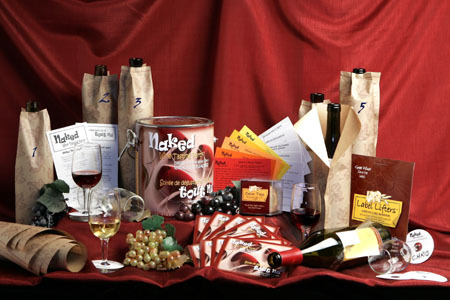 It comes with wine bottle covers, instructions and wine tasting sheets! 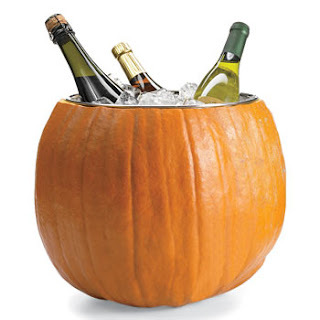 For a seasonal touch, hollow out a pumpkin to chill your wine...I LOVE this! It would be lovely with a white pumpkin! I need your opinion - what do you think? Is a BYOW/C a one way ticket to cheapskates-ville or thrifty fabulous-ness? 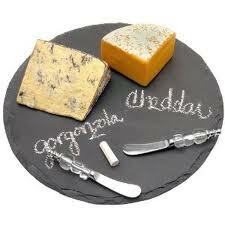 In the meantime, have a great wine and cheese-filled weekend! I looove this idea, and I don't think BYOW/C is a bad idea...I think it's a great way to get your guests to participate in the theme, choose their favorite wines/cheeses and share with others. Good luck planning, this sounds like a fun party! 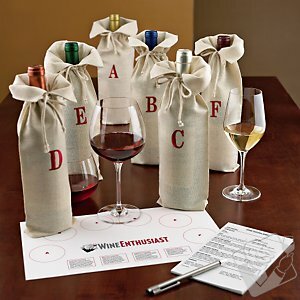 Most people expect to bring wine to a party...so I don't think that would be a big deal. Do you have Trader Joe's by you? They have the best prices for both wine & cheese.